Explore the Dingle Peninsula admire the beauty of Ireland in comfort on this private air-conditioned coach tour from Killarney. Hop aboard your sightseeing coach in Killarney and spin along the Dingle Peninsula with a private guide. Visit Minard Castle and admire fine views along Inch Beach. 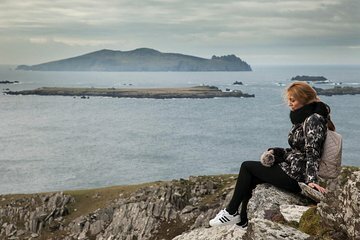 Watch the waves crashing over the rugged Blasket Islands, discover the native flora and fauna of Slea Head, and visit the Gallarus Oratory — an iconic monastic site. Follow rugged trails along the Wild Atlantic Way, then soak up the harborside atmosphere in pretty Dingle.